Latest post Fri, Apr 12 2019 2:14 PM by insch. 4 replies. 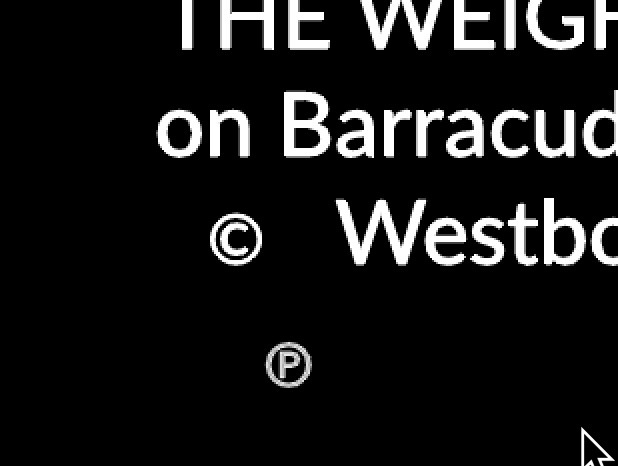 I am trying to insert a sound recording copyright symbol ℗ into Marquee end credits. I don't have the symbol on my keyboard but have copied it from 'Emoji and Symbols' and have also tried copying from online sources. Each time I paste it into my credits it appears on a new line below but it thinks it's on the correct line and can't just be moved to the correct location. I have looked at paragraph spacing and it matches the rest of the line. I can't seem to get it on the line where I want it - beside the ©. Any advice anyone? I have attached a grab. I've come back to this one. I just pasted some other text into my Marquee title and the same issue happened - it dropped down to another (virtual) line. Anyone who uses Marquee know how to get round this issue? All I want is a 'P' in a circle to finish this off - but I'm struggling.